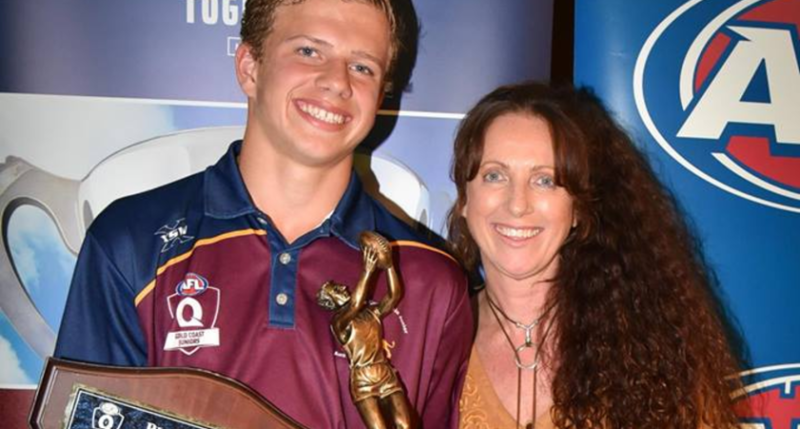 AFL Gold Coast hosted close to 400 junior players, parents and volunteers at Southport Sharks on Wednesday night to celebrate the 2018 Gold Coast Juniors Gala Awards Night. The 2018 Player of the Year was awarded to Jed Walter from Palm Beach Currumbin. Playing in the Under 14 Division 1 competition he polled the most votes in any division with 32 votes. The 2018 EXIMM Gold Coast Junior Junior Club Person was awarded to Alastair Johnson from Coomera Magpies. Alastair gives up his time to help at the club in the canteen on Friday nights and weekend home games. In addition he umpires on weekend’s. Alastair’s commitment to AFL is first class and his dedication to umpiring and helping with the junior kids at the club is exceptional. He always has a smile on his face. The Player of the Year is awarded to the player who receives the most votes from the umpires during the Home & Away season, regardless of the age group.